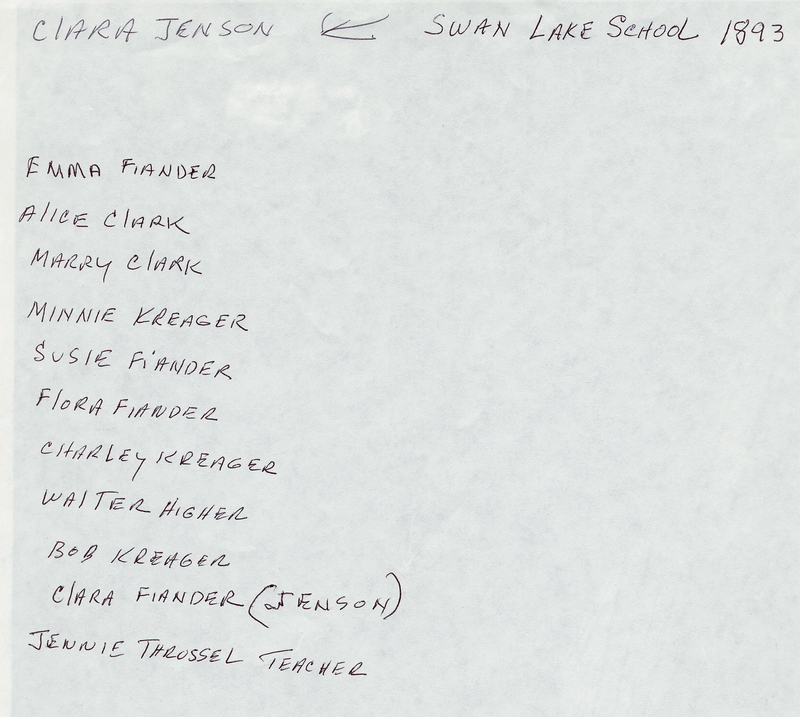 The first school built was the Swan Lake School, #40, and measured about 16′ x 24′ . The school was “made of rough boards” from Tominson’s Mill at Hart’s Lake. 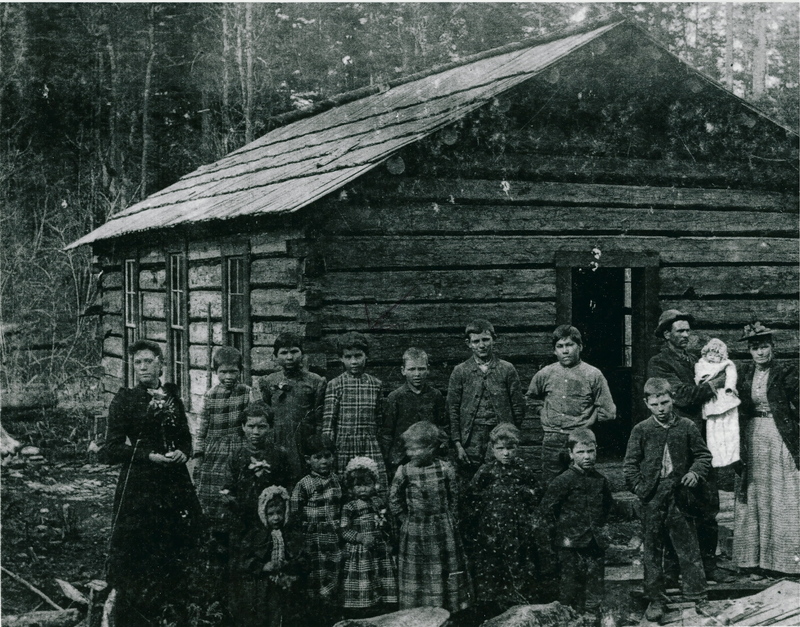 It had windows on each side, a split cedar shake roof, a plank floor, and “a small hewn log served as a door step”. The school was heated by a wood burning “box” in the center of the room. Students were responsible for keeping a supply of wood cut and ready for use. A water bucket sat to the right of the entrance on a wooden bench and was filled from a well at the Fiander homestead about half mile away. The first seats and desks were homemade. The students’ seats and desks were one unit and several children sat at a unit. The teacher’s desk stood at the front of the room opposite the door. On the teacher’s desk you could find a hand bell and the few books she had at her disposal. The blackboard was simply two painted boards set end to end, with a small space between. And the teacher and students joined forces keeping the school clean. The school year was only three months long, with days running from 9 a.m. to 4 p.m. The bad news . . . school ran during the summer. Glad you like the site! More pictures to come. cool this is very interesting the question i have is was this an elementary school or something else like a middle school????????? There were a lot of smaller schools spread around back in in the day. I’ll try to get more posts up about them. In fact, at the first schools they only when to school during the summers. ya lots of smilly face!!!!! Notice the Fiander girls in matching and similarly matches dresses. The picture is missing their mother, Catherine Dean Fiander holding one of the other daughters.